Didi won a popularity contest on Facebook, with 5 zillion Facebook friends choosing her over a bunch of other lovelies on the La Cage Facebook page. McGeoch is well-known to Orlando Fringe types from his role last spring in Dewey Chaffee’s Screw You Revue and subsequent appearances in and around Orlando. I don’t know the details of Didi’s Broadway appearance, but I suspect that all that info will be coming soon so that you can all book your plane tickets. Congratulations to Didi and the McGeoch-Chaffee household! 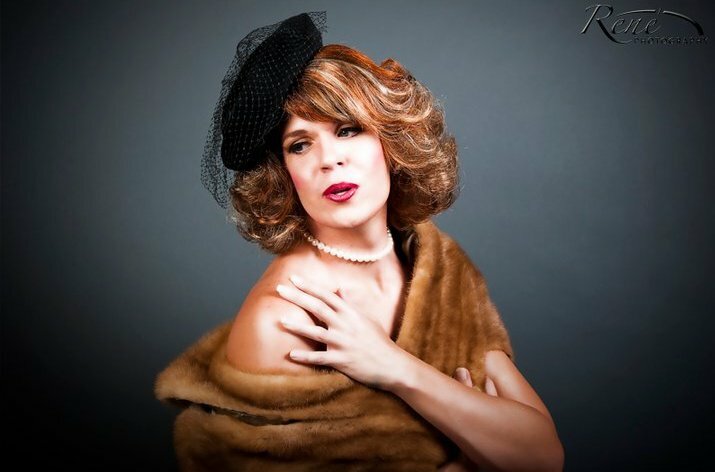 This entry was posted in Broadway, Fringe festivals, Orlando theater and tagged dewey chaffee, Didi Panache, Douglas McGeoch, facebook, la cage aux folles, orlando international fringe theatre festival, screw you revue. Bookmark the permalink. A proper PR will be sent as soon as the details are solid. What I can tell you is that this appearance will happen within the next 90 days and Dewey and I will be front and center to cheer him/her on! Thanks to all the Orlando theatre community and beyond who voted in order to make this happen. Once again, we have all pulled together for each other. YAY for Douglas! Yay for Team Didi! Thanks for your coverage, Betsey! oh, Didi — you’re on your way to the place you deserve to be! Can’t wait for the curtain to rise and for Team Didi to let out a thunderous roar, the likes of which, Broadway hasn’t heard! Congratulations!! !